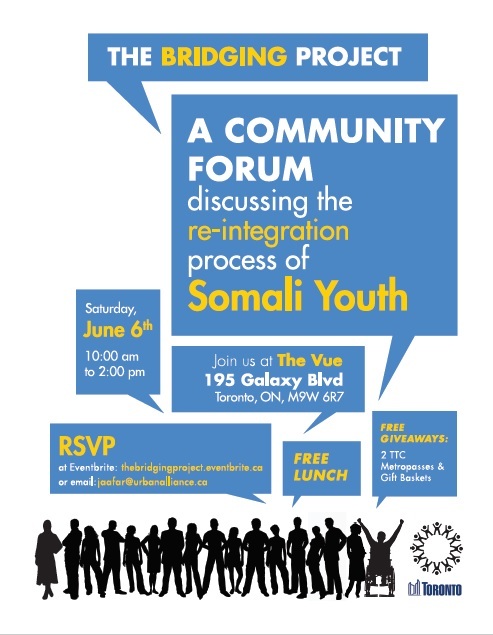 The Bridging Project community forum discussing the reintegration process of Somali youth is only 4 days away. 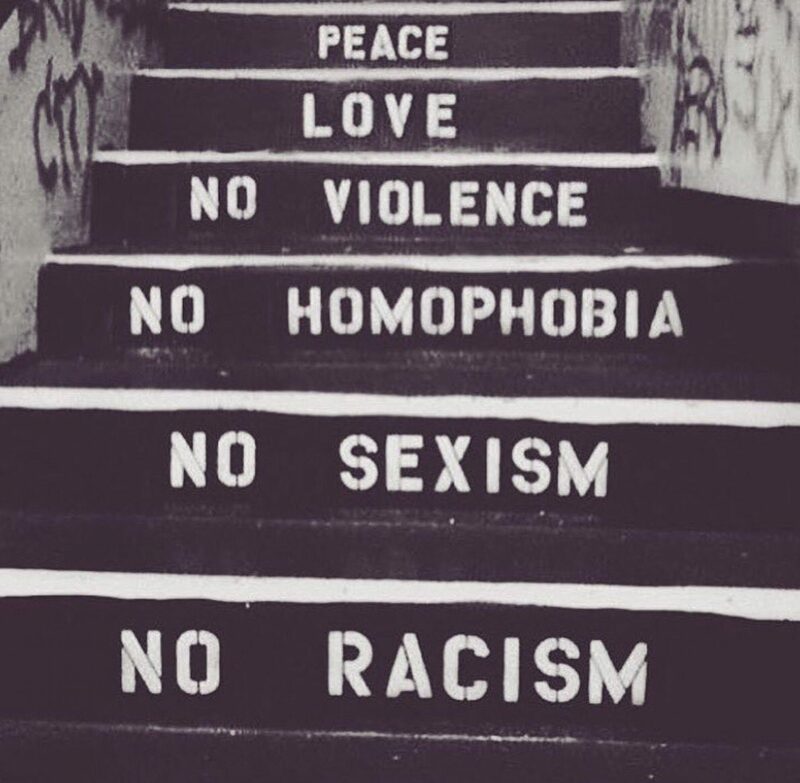 “The Bridging Project” is a qualitative research project advancing knowledge of the experiences, barriers, challenges and successes of previously incarcerated self identifying Canadian Somali youth. Please note that the venue for this event has changed and will be taking place at The Vue: 195 Galaxy Blvd, Toronto, ON M9W 6R7. Please RSVP at our Eventbrite page (CLICK HERE) or email jaafar@urbanalliance.ca. We look forward to seeing everyone there and please feel free to bring family and friends to join.